Coves on the Pag island are just perfect for enjoying in summer, and one of them holds a legend of a sunken city, that has been compared to the Atlantis. On the sea bed in Caska cove there lay remains of an entire town, and today's place has only a few houses. This extraordinary site on the Pag island has been attracting history fans and explorers in order to discover the past of ancient Caska that has sunk. Remains have showed that the sewage system is of Roman origin, but it cannot be stated for sure if the town itself is even older. In the past, Pag island and Caska cove had been an important centre as it is estimated that the town itself had 5000, and claimed by some, even up to 30000 settlers. 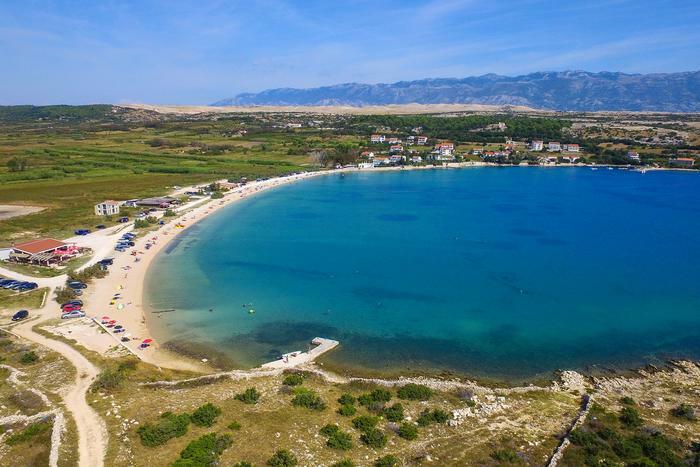 Caska sank in 4th century when Pag was hit by a devastating earthquake, but some of its secrets are still waiting to be discovered and intrigue and make many people coming to the Pag island.